The mission of Resurrection Catholic School is to instill the values of the Catholic faith through the promotion of active, intercultural experiences to create a more peaceful world and encourage respectful, compassionate, life-long learning. 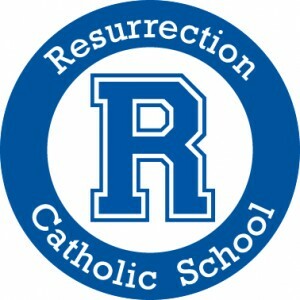 Located in Lakeland, Florida, Resurrection Catholic School is a private school serving students in PreK through Grade 8. The school is located on the 20-acre campus of the Church of the Resurrection Parish and is part of the Diocese of Orlando. We support the school mission with ample facilities, excellent faculty/staff and many programs to challenge and support our students. RCS is dedicated to ensuring a safe learning environment. The entire campus is fenced and computerized key-card access is required to enter all buildings. All school staff are screened by law enforcement prior to employment and regularly thereafter. Student pickup and drop-off is carefully monitored and controlled. We also maintain a school nurse and medical clinic to handle routine student medical needs. Students integrate educational technology throughout their school years. From the kindergarten on-line rainforest research through middle-school power-point presentations and science fair data analysis, our students gain expertise in a wide variety of modern technology. The entire campus is outfitted with wired and wireless local-area network and Internet access. We have over 165 desktop computers and wireless laptops available throughout campus, most for student use. The library/media center is fully computerized. Our caring faculty and staff is led by the principal, Deborah Schwope, who joined Resurrection Catholic School in 2013 as our fourth principal. RCS has a dedicated staff of 40 people including 25 teachers. Our teachers average 10 years of classroom experience. In addition to our classroom teachers, RCS faculty and staff includes classroom aides for all the early-education grades, a guidance counselor, resource teacher, technology specialist and a registered nurse. Refrain: We are the students of Resurrection, of Resurrection Catholic School. (Repeat). Verse 1: Growing and learning, loving and sharing, helping each other with our Christian caring. The seed of Christ’s teaching planted deep in our soul shall blossom in action with each year we grow. (Refrain) Verse 2: As the eagle soars the Heavens above, we will carry on God’s message of love. Working together in the world of today we will spread our message day after day. (Refrain).